On February 5, 2013, I collected the Average CPU Performance BenchMark numbers for the N36L, N40L, N54L, and other CPU’s from PassMark CPU BenchMarks maintained by PassMark Software based on CPU benchmark results for over 600,000 systems covering 1,200+ different types of CPU’s. The list of CPU’s and their raw scores are shown in Table 1 below. 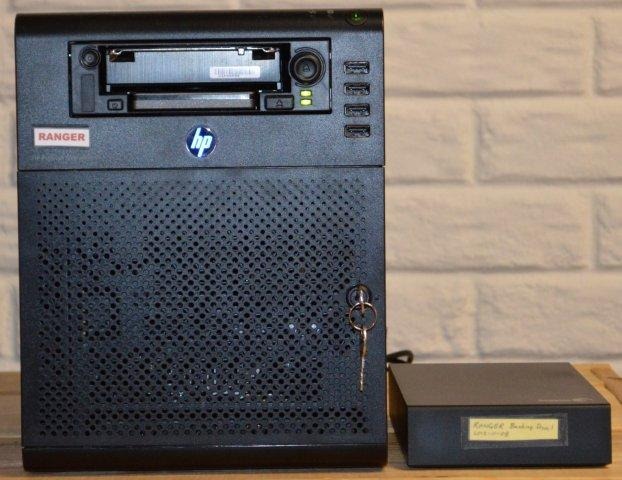 The HP MediaSmart EX-487 (“EX487”) was my first home server running Windows Home Server V1 and came initially with the Single Core Celeron 440 CPU that I later upgraded to the Dual Core E5200. Table 2 shows the relative performance of the CPU’s with the stock EX487 Single Core Celeron 440 as the baseline of 100%. Only the Atom 330 and the Celeron 450 are roughly comparable. In Table 3, I compared the performance of the CPU’s with the N36L chosen as my Baseline of 100%. The N36L was used in the first HP ProLiant MicroServer with System Board Number 620826-001. Only the Atom D525 appears roughly comparable. In Table 4, I compared the performance of the CPU’s with the N40L chosen as my Baseline of 100%. The N40L was used in the second HP ProLiant MicroServer with System Board Number 661787-001. This is the MicroServer that I am using. Only the Core2 DuoU7300 appears comparable. In Table 5, I compared the performance of the CPU’s with the N54L chosen as my Baseline of 100%. The N40L was used in the third and most recently introduced HP ProLiant MicroServer with System Board Number 708503-001. Only the Dual Core E5200, that was stock in the EX-495, appears comparable while all other CPU’s fall short with performance rankings from 24% to 70% of the N54L. In conclusion, The N54L benchmark shows a 43% CPU performance improvement over the N40L -- but it’s not as big a jump in the benchmark performance when HP moved from the EX-485/7 series to the EX-495. That certainly doesn’t mean I plan to trash my N40L’s anytime soon – both are good reliable machines and very capable of performing their jobs well into the future. A place to start reading up on the many capabilities and possibilities of the MicroServer (whether it’s the N36L, N40L, or the N54L) is the page of Useful MicroServer Links & References. Next check out the threads at HP MicroServer for answers to just about all questions about MicroServers, but if you don’t find a thread addressing your specific issue be sure to start a new thread and list your question.